The first article I ever read discussing dental lasers started with this sentence: "A laser is an intense beam of nondivergent monochromatic electromagnetic radiation of one wavelength." My next thought was, “I’m in over my head! How am I going to research something that seems to be taught in a foreign language?” From there I decided to create this course to assist other clinicians better understand laser dentistry and give a real life perspective of lasers. Density is at the threshold of laser technology which is starting to have a profound impact on the way we practice today. The world of laser dentistry is not only fascinating, but for many of us, confusing. Lasers are revolutionizing the way we practice dentistry and treat dental disease; so it is imperative we stay abreast of this new and ever-changing technology. This course will present the many functions lasers can serve in your practice and practical ways they can help your patients and overall office production. Define lasers and simplify laser physics. Discuss the dental applications of lasers. List FDA cleared dental lasers and their uses. Present current literature findings and advantages to laser use. 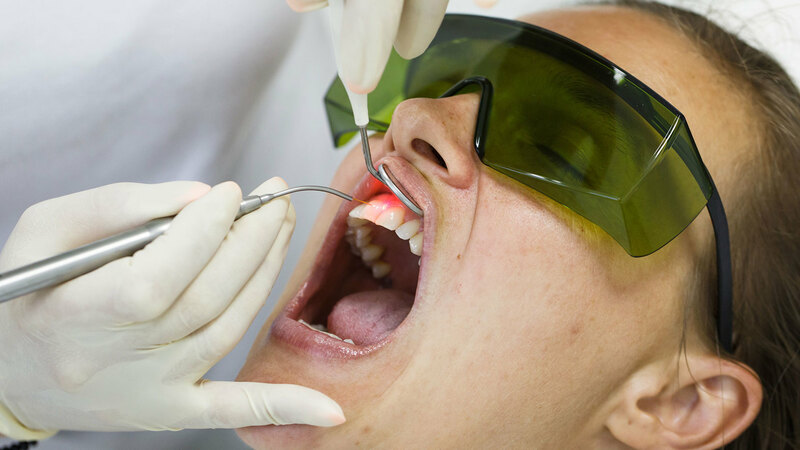 Define the Dental Hygienists’ scope of practice with lasers. “Lasers and the Mouth…Exploring the Next Frontier” is co-sponsored by Tribune Group GmbH. Tribune Group GmbH is a recognized ADA CERP and AGD PACE provider. At the end of the webinar, after passing the C.E. Quiz, you will be able to download your ADA CERP and AGD PACE C.E. Certificates.